Treating crops with sewage may seem ridiculous at first thought, but scientific research demonstrates that thermally conditioned sewage sludge serves as an excellent fertilizer to improve soil properties. The key factor that makes sewage sludge such an attractive commodity over commercial fertilizers is phosphorus. Phosphorus is an essential nutrient required by all life, and sewage sludge presents a path to sustainable re-use of finite phosphorus resources. Other nutrients present in conditioned sludge stimulate microbial activity, thereby inducing competition between microorganisms and the plant roots for phosphorus uptake as well. The U.S. Environmental Protection Agency has encouraged its use as a cost-effective way to fertilize crops and to recycle biosolids. Earth’s phosphorus supply is being depleted. At current rates of consumption, known phosphorus reserves are projected to run out by the turn of the century. 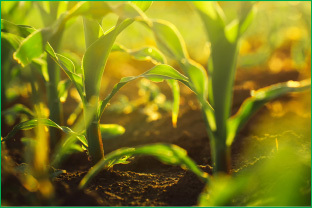 The use of thermally conditioned sewage sludge recycles phosphorus and that can help extend the sustainability of crop growth for many decades. Advocates of sewage sludge will inform you that this is a great way to divert human waste from landfills, recycle phosphorus and grow crops. The EPA requires that all sludge be treated to kill off bacteria and viruses before it can be applied to farm fields. The organization also requires sludge to undergo two processes aimed at destroying pathogens: anaerobic digestion––in which bacteria break sludge down in the absence of oxygen––and high-heat sterilization. Still, other contaminants such as pharmaceuticals and metals present in sewer sludge are only minimally regulated and some researchers would like to see the EPA add further regulation to the amounts of these contaminants found in sewage sludge. For water and wastewater professionals across the U.S., thermally conditioned sewage sludge provides a cost-effective alternative to the disposal of sludge into landfills and provides farmers and the communities they serve a valuable asset that helps limit consumption of finite phosphate resources and keeps farming sustainable.